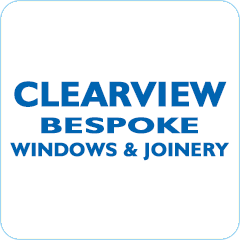 Clearview Bespoke Windows & Joinery are a local company who pride themselves on excellent workmanship and a level of service that exceeds our customers’ expectations. Whether you’re looking to improve your home with new windows and doors or create a fully personalised internal space that perfectly matches your specifications and requirements, we are ideally placed to turn your dreams into reality. From beautiful, bespoke staircases to internal doors, we can help to turn your house into the perfect home. Our expertise and skill allow us to offer plentiful advice and follow up with a finished product that leaves you fully satisfied. We are specialists in the expert design, manufacture and installation of wooden and UPVC windows and doors. With our own joiners’ workshop, we are able to ensure the quality and fit of our windows and doors is sustained at the highest possible level.